That cat one totally cracked me up! Thanks! It’s based on a true cat. 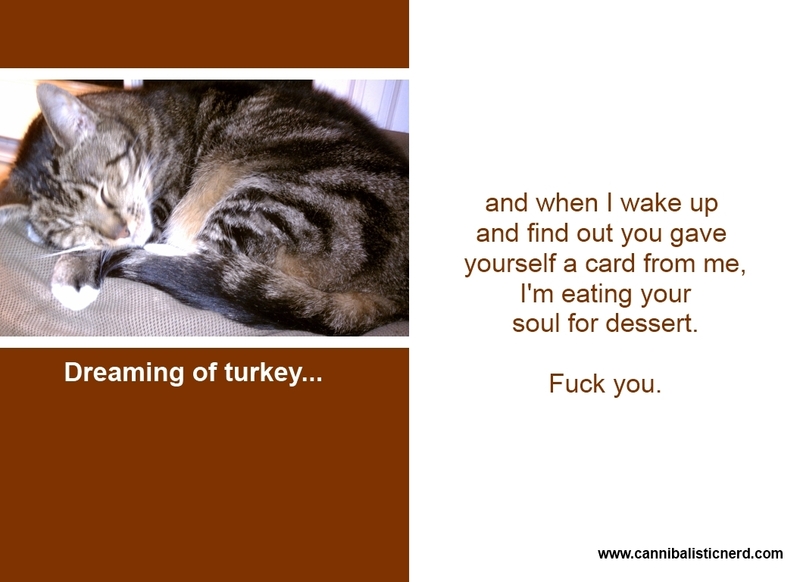 Thanksgiving cards are kinda silly. 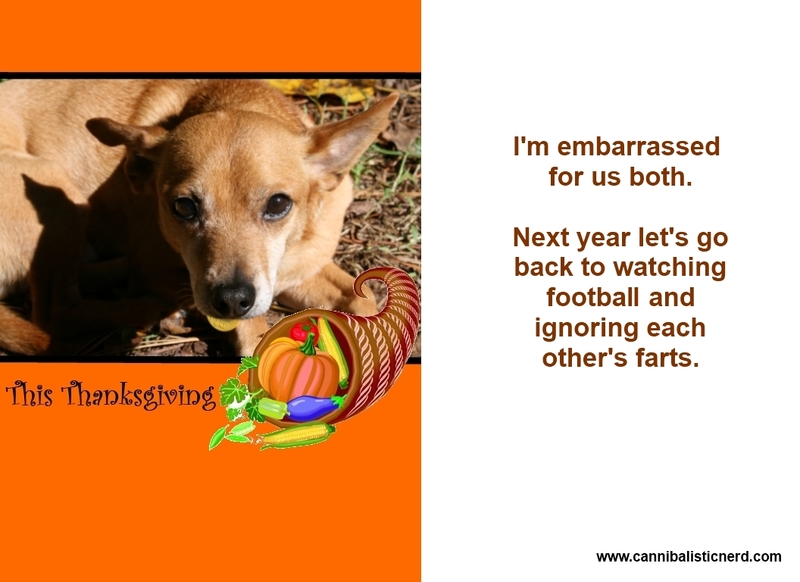 I want to start getting gifts for Thanksgiving. As long as it isn’t blankets with smallpox. I think my cat now loves you…or you are at least as acceptable as humans can get. Fun cards…again! Thanks! I think cats like me because they know I’m allergic to them. You referenced warrant but replaced it with the Zeus of pies, pumpkin…my favorite. My brother from another engineer.